Justice I.A. Ansari, former chief justice of Gauhati HC, says Supreme Court must answer the questions of constitutionality he had raised in his 2013 judgment. New Delhi: At a time when the credibility of the Central Bureau of Investigation (CBI) is at an all-time low, retired Gauhati High Court chief justice I.A. Ansari has reiterated his 2013 judgment that the probe agency is an unconstitutional body, which threatens India’s federal structure. “The CBI was never constituted under any statute, but under an executive order of the Union Home Ministry in the year 1963, and that too, with no backing from the Constitution,” Justice (retd) Ansari told ThePrint. So, he said, “the very constitutionality of the CBI is questionable, and this question has to be answered by the Supreme Court”. A division bench of the Gauhati High Court, presided over by Justice Ansari, had struck down the resolution through which the CBI was set up, and held all its actions as “unconstitutional”. While the judgment had created quite a stir, it was immediately stayed by then Chief Justice of India P. Sathasivam at his residence, and has remained that way. Ansari’s statement comes days after CBI officials landed up at Kolkata police commissioner Rajeev Kumar’s Loudon Street residence Sunday to question him in connection with the Saradha Ponzi scam. The Kolkata police took some CBI officers into custody. “The actions of the CBI in West Bengal can be legal if backed by the Constitution, and even while following the Supreme Court’s directions, the CBI has to also follow the CrPC,” said Justice Ansari. The CBI, India’s premier investigating agency, is claimed to have been established in 1963 under the Delhi Special Police Establishment Act. In the Gauhati High Court, the central government had contended that it had the power to investigate crimes, under Entry 8 of Union List, which reads: “Central Bureau of Intelligence and Investigation”. But the judgment pointed out that in the Constituent Assembly, it was raised that with the help of Entry 8, the central government would assume the role of the state’s police or usurp the power of the state police by investigating a crime. Allaying this fear, Dr B.R. Ambedkar, chairman of the Constituent Assembly, categorically said that the word ‘investigation’ appearing in Entry 8 did not mean ‘investigation’ into crimes as done by a state’s police, inasmuch as an investigation into crime could be carried out by state police only, and that the word ‘investigation’ in Entry 8 would mean making of enquiry for the purpose of collecting intelligence to help states. 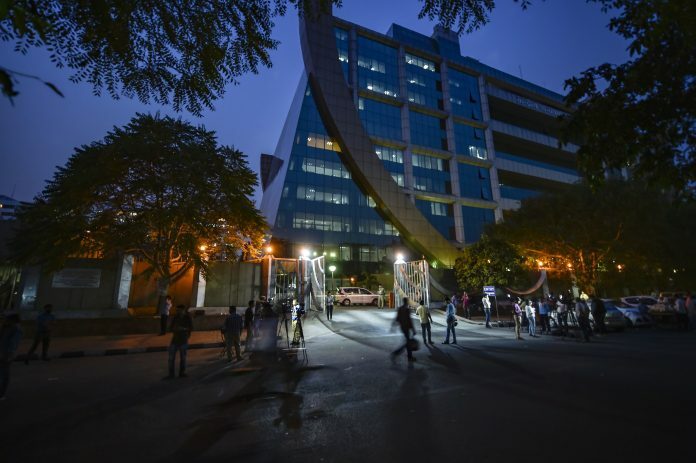 Consequently, Entry 8 does not, according to the Gauhati High Court, empower the CBI to enter a state and investigate crimes alleged to have been committed there. While the matter was stayed by the Supreme Court, Justice Ansari says it cannot be considered “settled in law” since the apex court has never really discussed or decided the matter. The fact that the apex court has been unable to set aside the Gauhati High Court judgment on merits speaks for itself. Modi never questioned CBI when he was under interrogation for post Godhra riots….. That’s cooperative federalism…. Now that Mamta by her tantrums has threatened that federalism….. It is a rather quixotic viewpoint with doctrinaire adherence to what Dr. Ambedkar discussed in the constituent assembly. CBI is in existence since 1963. To dub it as unconstitutional seems to totally unpractical and will cause anarchy in the federal arrangement. Let us not forget, the Apex Court itself has many times in the past, constituted SITs with the help of CBI and shifted important investigations from state police to CBI.